In Estonian with subtitles. 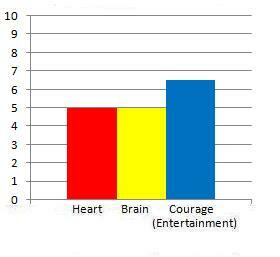 Based on the novel by Mati Unt. Maurer (Juhan Ulfsak), an architect, lives in a luxurious apartment complex with his wife, Ulvi (Tiina Tauraite), who would prefer to move closer to the city. Little does he know that she’s cheating on him with an insecure doorman, Theo (Taavi Eelmaa), whom she initially assumes is an artist and then gets uncomfortable when she finds out his real job. Laura (Maarja Jakobson) struggles to earn a living at factory while raising her young daughter Lotta (Iris Persson). Meanwhile, Jaana (Mirtel Pohla) tells her husband, Mati (Rain Tolk), that she’s leaving him, which leads him into a downward spiral of boozing and depression. In the opening scene, he’s standing on a balcony and contemplating whether or not to commit suicide, so then the plot flashes back in time to show how he ended up in such a tragic dilemma. The screenplay by writer/director Veiko Õunpuu includes so many individuals and couples who go through personal conflicts, especially alienation, selfishness and superficiality, that the plot becomes more and more convoluted and, in turn, less engrossing to watch. On a positive note, there’s exquisite cinematography, lighting and set design that help to bring out the film’s overall bleak tone. Many scenes feel authentic with a few tender moments here and there, however, it eventually becomes tiresome and tedious to watch so many mundane moments of the characters’ lives over and over. Moreover, many scenes lack an organic transition from one to another, so some of them come across as too episodic. Õunpuu simply fails to get inside any of the characters’ heads so that you truly grasp what they think and feel as human beings. 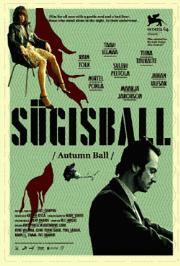 At an excessive running time of 120 minutes, Sügisball (Autumn Ball) has superb cinematography and fleeting moments of poignancy bogged down by a tedious, unfocused plot that occasionally drags and feels overstuffed with too many poorly developed characters. Number of times I checked my watch: 3 Released by Strand Releasing. Opens at the MoMA. In English, Tibetan, Nepali, Hindi and Taiwanese with subtitles. This mildly fascinating documentary follows Tenzin Zopa, a Nepalese monk, whose master, Geshe Lama Konchog, a rinpoche (a.k.a. an incarnated lama) passed away in 2001. Tenzin had been his disciple for many years, so his death naturally takes an emotional toll on him. Once Geshe Lama gets cremated, senior Lamas note that his reincarnation into another human being has taken place already, so it’s up to Tenzin to find and to train the reincarnation, a.k.a. the “unmistaken child .” Neither of those tasks proves to be easy for him, though, because the only clues he has of whom the reincarnation is, is that the village he lives at starts with the letters “TS” and that his father’s name begins with an “A”, according to Taiwanese astrologers. Director Nati Baratz shows Tenzin traveling from village to village in the Tsum Valley of Nepal as he searches for the young reincarnate. He asks villagers if they know anyone who has a son within the appropriate age range of the reincarnate and observes how he reacts and plays with Geshe Lama’s rosary beads and shows his photographs. He also stops by to listen to the 14th Dalai Lama, who talks to him personally and, later on, gives a speech in front of many other monks. The footage of Tenzin continuously searching for the reincarnation feels a bit tedious and could have been edited down a bit so that he finds him earlier in the documentary and more screen time would be spent showing them interacting. The Tsum Valley looks quite majestic and beautiful in all of its bright green natural surroundings. In one scene of comic relief, Tenzin points to the leaves of trees blowing in the wind and says that they’re dancing. It’s quite inspiring to watch how Tenzin gradually transforms from a devoted disciple to a master or teacher of the young boy, Geshe Lama’s reincarnation, which represents the circle of life. The young boy must leave his family eventually, wear a robe and have his head shaved in order to conform to the traditions of a monk. Baratz films those transformations, but, unfortunately, doesn’t include enough footage of him adjusting to his new life with Tenzin. Interviews with other monks who went through the same process would have helped to add more insight. At a running time of 104 minutes, Unmistaken Child manages to be moderately engaging and fascinating, but without enough insightful and more provocative interviews, it merely scratches the surface of Tibetan reincarnation rather than delving profoundly into it. Number of times I checked my watch: 2. Released by Oscilloscope Laboratories. Opens at the Cinema Village.